MOTN Episode 25: If Your Not Careful You Can Fall Into The Barbeau Zone! If you liked this show, you should follow Masters of the Nerdiverse Podcast. 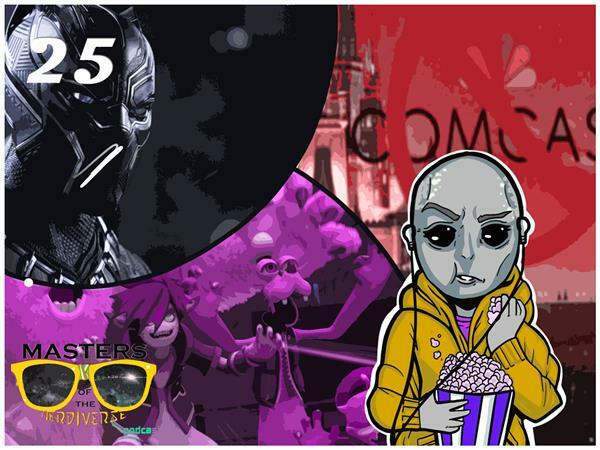 This week Wynter and I argue over the coolness of Kingdom Hearts 3, Why Comcast is playing the spoiler, and how awesome Black Panther is going to be! Are you excited for the latest news, and updates? Let us know! Outro - Marvel vs Capcom Infinite ? Black Panther Theme. Remember to like, comment, and subscribe!